Pay Bills on QuickBooks’ home page, a screen containing a table like this will open. When you’re done, click Pay Selected Bills and do any follow-up work that’s requested. 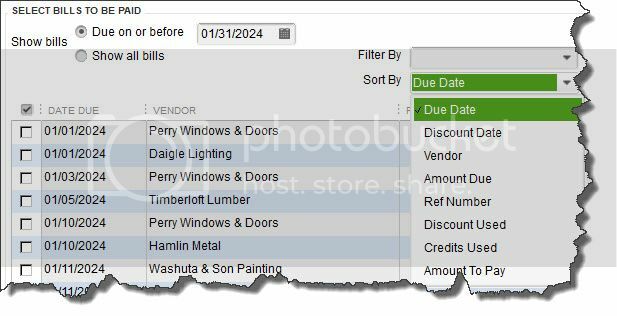 The bill-pay process in QuickBooks has a lot of moving parts, some of which may need prep work before you can actually dispatch bills. We strongly urge you to get together with us if you’re planning to use this element of QuickBooks. Although beneficial, it’s one of the more complicated processes in the software, and it must be done with extreme accuracy. When you’re ready, we can help.